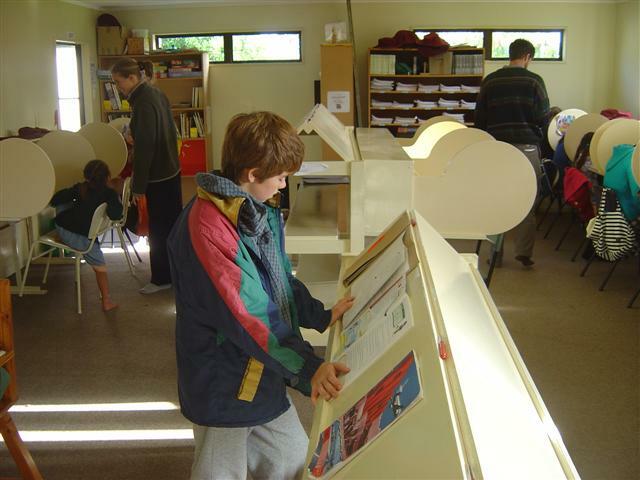 Drury Christian School is a home-school co-operative, with a number of families doing their schooling in one place and a number schooling at home. We are a registered, private primary and secondary school. The school has a principal, supervisors, and trained staff which include fathers and mothers of the children. The parents of each family attending the school are asked to spend three half-days a week in the school, and all of the staff have completed anA.C.E training course on Christian education. Parents of homeschooling families must complete an A.C.E homeschoolers training course before using the A.C.E training curriculum at home. Fathers of children attending the school are required to attend a fellowship evening, one night in the year for the purpose of renewing vision, reviewing progress of the children, and prayer. Homeschooling fathers are also welcome. Parent’s evenings are held two times each year when families can meet together for encouragement and instruction. The school is administered by the Drury Church. We use A.C.E curriculum, which at the same time as teaching language, maths, science, and social studies, is encouraging the child to develop a close relationship with Jesus Christ and so grow in wisdom and knowledge. The development of Godly character is given a place ahead of acquiring knowledge. 2. A child learns best in a secure, disciplined environment, and the fewer inconsistencies between church, home, and school, the better. The Bible has the principles for all of life. 3. A focus can be put on the needs of the individual. 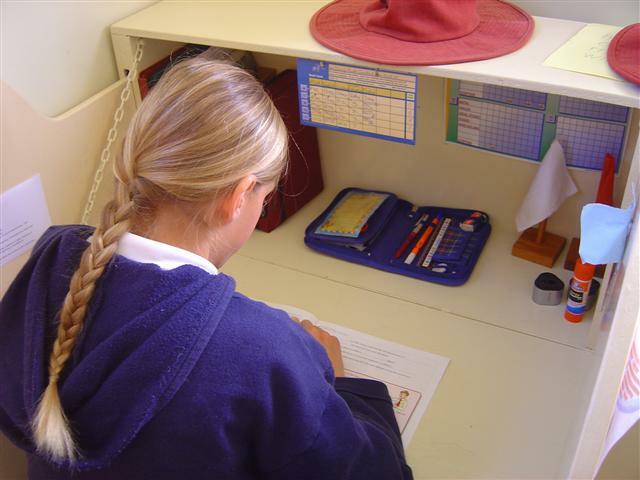 For academic learning, each child studies at their own desk, at their own level, and their own speed, and only when they have mastered a topic do they go on to the next one. For learning as a group, the individual can be taught how to consider the needs of others without losing their own identity. God has a personal plan for us all that fits into a bigger picture. The fall of man, the need of regeneration by the operation of the Holy Spirit on the basis of grace alone, and the resurrection of all, to eternal life or eternity in hell. The spiritual relationship of all believers in the Lord Jesus Christ, living a life of righteous works, in the world but not of it, witnessing to His saving grace through the ministry of the Holy Spirit. The A.C.E (Accelerated Christian Education) curriculum was developed by a team of twenty-seven competent teachers, starting in 1973, led by Dr. Donald and Mrs. Esther Howard. The writing team expanded from being mainly Americans to later include some New Zealanders, and today the curriculum is used in nearly 7000 schools and in over 100 countries. Its development has cost above 40 million dollars. The curriculum covers all subjects, from kindergarten to Year 13, and at primary level provides more courses than the normal 5 core subjects, of English, Math, Social Studies, Science, and Word Building. This gives extra scope for the bright student. The curriculum is written in a small booklet called a PACE, (Packet of Accelerated Christian Education) and takes the average student 2 weeks to complete in each subject. Normally a student works at 5 subjects a day. The student works in their individual “office”, sets their own goals for each day, and marks their own work at a score station. After completing each PACE they test themselves, then the following day sit a supervised test. They are not allowed to progress to the next unit of work until they have scored at least 80%, (for senior students). Most New Zealand tertiary institutions accept an A.C.E Year 13 Certificate, and these include the universities of Auckland, Massey, Waikato, and Otago. The A.C.E certificates are also accepted by NZQA. 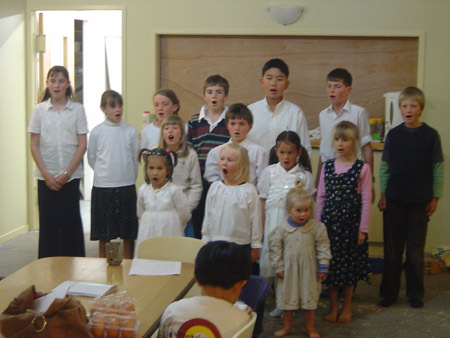 The aim of this school is to encourage the development of Christlike character in each student. To help toward this end, a system where pupils can earn merits to reward good behaviour, anddemerits to discourage poor conduct, is implemented. An accumulation of merits results in personal encouragements, open commendation, and then special privileges. However, if three or more demerits are gained in a day, then a detention follows. In serious cases probation for a period or finally dismissal from school may be necessary. We expect the child to show respect for parents and others in authority at school, and when travelling to and from school. The school encourages communication with the school, andprayer, rather than criticism of the rules, or of an individual. The child should treat other students as they would their own brother or sister, and beencouraging and helpful, especially to those living in Grace House, as we must share some of the ground floor with those living upstairs. Chewing gum is not permitted at school and all school buildings and grounds are non smoking areas. One of the important aims of a Christian school is to encourage children to bedisciples of Jesus Christ. The word “disciple” means one who is disciplined.Discipline, to be of any benefit to the student, must be done in love, and love desires the highest good. Children learn best in a well-disciplined environment, and they will respect you for keeping well defined boundaries. It makes them feel safe. However, to correct a child because you find his behaviour annoying will only lead to harsh authoritarian discipline. Good discipline is appropriate to the nature of the behaviour and is open to reason. A child must not be allowed to argue, but should be taught how to make an appeal respectfully if the reason is not clear, or he feels the penalty too severe. Discipline must be consistent. Therefore a list of demerits that will be given for unacceptable behaviour should be clearly displayed in the learning centre. A student must be told privately as soon as they are given a demerit, and the reason for it. An account of the demerits for each day should be kept, and if a child gets more than two, they should be given a detention for the following day. A detention slip should be taken home that night and brought back the following morning, signed by a parent. A sample slip is below. The detention is best run at lunchtime and should be a meaningful task, like picking up litter, or weeding the school garden. Give the normal fifteen minutes for eating lunch, then for 3 demerits give 20 minutes detention, for 4 demerits give 30 minutes, and for 5 demerits give 45 minutes. Any more demerits than that and it is better to give a double detention, or include a loss of privilege, such as no afternoon programme that day. Give encouragement. If given in love, a verse from the Bible is a help to stop a recurrence of the bad behaviour. Forgive the child the wrong he has done when you see there is repentance. When repentance is not immediate, the parent should pray and allow some time. 1 Corinthians 10.13 “No temptation has seized you except what is common to man. And God is faithful; He will not let you be tempted beyond what you can bear. But when you are tempted, He will also provide a way out so that you can stand up under it. Unfortunately, when all has been tried, sometimes it is necessary to ask the parents to take their child out of the school. This should be done in writing, to confirm a discussion that has taken place between the principal and the parents agreeing that all other avenues have been investigated. Homeschooling has proved in many cases to be the answer. However, homeschooling shouldn’t be thought as the lesser option because school has failed, but rather what is God’s best for the child should be what is considered. Homeschooling requires a bigger sacrifice on the part of the parents, and with that comes greater rewards. Each student has their own “office”, and can work at their own speed. Here a student is marking his own work. One of our School choirs.